What does human rights law have to say about the environment? On the surface, the answer may seem to be—not much. The Universal Declaration of Human Rights, adopted in 1948, and the two International Covenants, both adopted in 1966, do not include a right to a healthy environment. International environmental law has developed, for the most part, along a different track than human rights law. But the failure to include a right to a healthy environment in the seminal human rights instruments is due to timing, not substance. The modern environmental movement began in the late 1960s, just too late to be reflected in the foundational human rights treaties. It is nevertheless clear that human rights and environmental protection are dependent upon one another. Our ability to enjoy our rights to life and health, as well as a host of other rights, depends on our living in an environment that is healthy and sustainable. The international community recognized this connection in its very first major environmental conference, in Stockholm in 1972, which proclaimed that the natural environment is “essential” to the enjoyment of basic human rights, including the right to life itself. The exercise of human rights helps to protect the environment, which in turn enables the full enjoyment of human rights. In recent years, it has become equally clear that the converse is also true: the exercise of human rights is necessary, or at the very least highly important to, the enjoyment of a healthy environment. When the people who may be affected by proposed policies and activities can freely participate in the environmental decision-making process, their societies are much more likely to have strong environmental protections. In this way, human rights and environmental protection can form a virtuous circle: the exercise of human rights helps to protect the environment, which in turn enables the full enjoyment of human rights. Many States have recognized this symbiotic relationship by codifying a right to a healthy environment in their national constitutions. More than 90 countries have done so explicitly; many more have joined regional human rights agreements, for example in Africa and the Americas, that recognize the right to a healthy environment. Moreover, although it is still true that no global human rights agreement explicitly includes a right to a healthy environment, in the last two decades many human rights bodies have interpreted universally recognized rights, such as rights to life and health, to require States to take steps to protect the environment on which the enjoyment of such rights depends. The result has been a rapid “greening” of human rights law. In 2012, the UN Human Rights Council appointed me to serve as the first Independent Expert on human rights and the environment. The Council asked me to study the human rights obligations relating to the enjoyment of a safe, clean, healthy and sustainable environment, and to identify good practices in their use. To that end, I conducted a series of consultations with representatives of governments, civil society organizations, international organizations, and many others, in every region of the world. With the help of many pro bono volunteers, I also researched what human rights bodies had said about environmental protection. I found a remarkable degree of convergence in their views. There was widespread agreement that environmental harms can interfere with human rights and that States have obligations relating to environmental protection based on their existing commitments under international human rights law. I summarized this emerging consensus in a “mapping report” to the Council. The report explains that States have procedural obligations to assess environmental impacts on human rights, to make environmental information public, to facilitate participation in environmental decision-making, and to provide access to remedies. The obligation to facilitate public participation includes obligations to safeguard the rights of freedom of expression and association against threats, harassment and violence—a particularly important set of obligations in light of the threats and harassment many environmental activists face. States also have substantive obligations to adopt legal and institutional frameworks that protect against environmental harm that interferes with the enjoyment of human rights, including harm caused by private actors. The obligation to protect human rights from environmental harm does not require States to prohibit all activities that may cause any environmental degradation; States have discretion to strike a balance between environmental protection and other legitimate societal interests. But the balance cannot be unreasonable, or result in unjustified, foreseeable infringements of human rights. In assessing whether a balance is reasonable, national and international health standards may be particularly relevant. 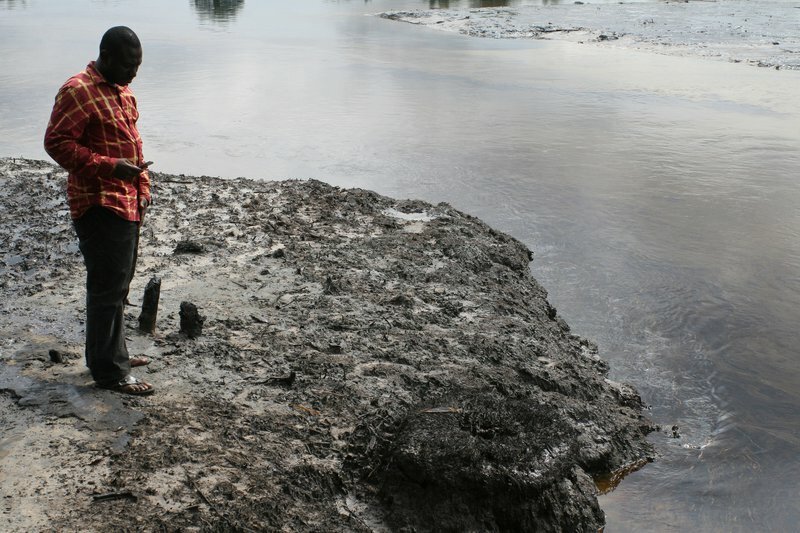 "The African regional human rights commission has held that the failure of the Nigerian government to protect the Ogoni people from massive oil pollution in the Niger delta violated their rights to health and to a satisfactory environment." For example, the African regional human rights commission has held that the failure of the Nigerian government to protect the Ogoni people from massive oil pollution in the Niger delta violated their rights to health and to a satisfactory environment. The Inter-American human rights tribunal held that by granting mining and logging concessions without the free, prior, and informed consent of the tribal people who lived on the land, Suriname had violated their rights to property. And the European Court of Human Rights has held that governments’ failure to take reasonable steps to protect against foreseeable threats from natural or human-caused disasters can violate the victims’ right to life. In 2015, the Human Rights Council extended the mandate for another three years and changed my title to Special Rapporteur on human rights and the environment. In addition to continuing to clarify the human rights obligations relating to the environment, the new focus of the mandate includes assisting those working to put these principles into effective operation. Many actors around the world are already doing so—my most recent report to the Council identifies more than 100 good practices in the use of human rights obligations relating to environmental protection. But much more remains to be done. For example, I recently joined with 26 other UN human rights experts to draw attention to the effects of climate change on a wide range of human rights, and to urge the State parties to the UN Framework Convention on Climate Change to take account of their human rights obligations as they negotiate a new climate agreement. With respect to these and other environmental threats, a human rights perspective helps to clarify both what is at stake and how governments should respond.